Description: Perhaps the most beautiful source of a spice, the saffron strands we use in the kitchen are really the dried stigmata of the lovely purple crocus flower. It is estimated that roughly 100 - 150 flowers will yield a mere 1 oz of saffron spice. And saffron is largely cultivated and harvested by hand, thereby making it one of the world's most expensive spices. 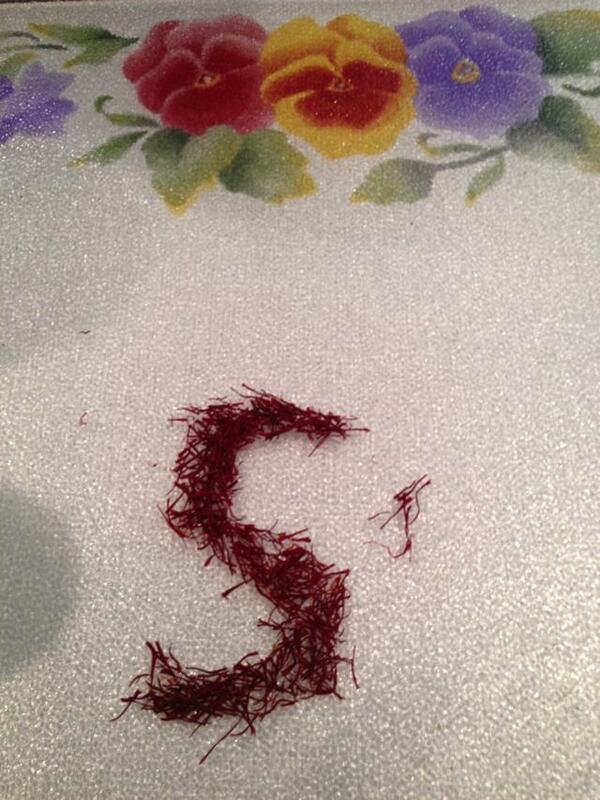 The dried saffron strands are used to add a warm orange hue to foods and also a heady fragrance. In fact, not just because of the cost, but also because it is so aromatic, that cooks use only a very tiny pinch of saffron in a dish. The aroma of saffron can get overpowering if used in large quantities. Saffron is mostly used in very tiny doses not too frequently. Saffron was first cultivated in Greece but has slowly been propagated to other countries - today, the key sources of good quality saffron are considered to be Iran, Spain and India. Some initial research is showing saffron may have some benefits in treating PMS, depression, Alzheimer's, although this is still being studied and is not yet fully definitive.